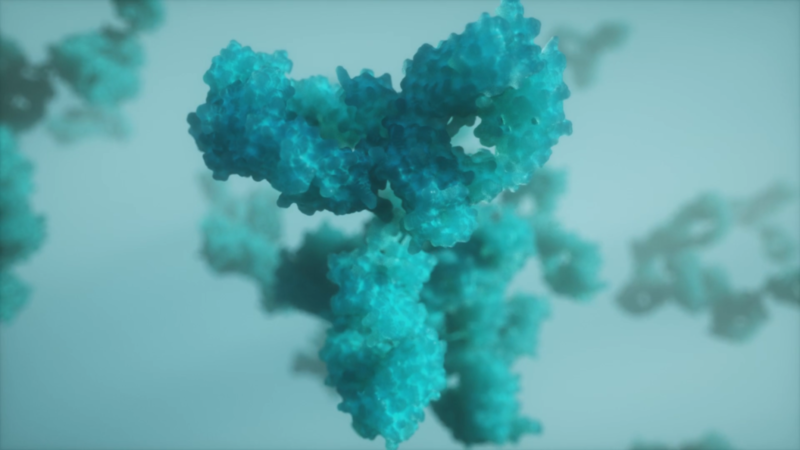 How do monoclonal antibodies work against cancer? In 1997, rituximab, the first monoclonal antibody indicated for oncological use, was launched for non-Hodgkin lymphoma (also used in rheumatoid arthritis and leukaemia, among others)1. This marked the start of the era of so-called targeted therapies for cancer treatment2. There are currently 27 monoclonal antibodies approved for use in different types of cancer, which represents a huge breakthrough in the management of this disease3. But what makes monoclonal antibodies so special? Cancer is characterised by a continuous and uncontrolled multiplication of certain cells, which eventually spread throughout the body, forming metastasis3. That is why chemotherapy is composed of different agents that act by preventing the cells from dividing4. However, chemotherapy drugs cannot differentiate between healthy cells and cancerous cells, which means that normal cells are also attacked, causing serious side effects4. As such, it is an attack that is not specific to cancer cells3. Targeted therapies are drugs that block the growth and spread of the tumour by interacting with specific molecules (“molecular targets”) that participate in the growth, the advance and the spread of the cancer. They are also sometimes known as “precision medicines”2. Monoclonal antibodies are a type of targeted therapy characterised by their specificity5 to bind to specific molecules produced by the tumour or its environment3, causing the death of the cancer cells through various mechanisms6. Due to their specificity, the side effects of chemotherapy and radiotherapy can be avoided3. They can bind to certain molecules released by tumours. These molecules are a signal whereby some biological mechanisms necessary for the tumour to continue to grow and spread are activated3. The binding of the antibody blocks their growth. This is the case of bevacizumab, a humanised monoclonal antibody that binds to the so-called vascular endothelial growth factor (VEGF)3. This factor is responsible for the formation of new blood vessels in the tumour. After binding to this factor, bevacizumab prevents new blood vessels from forming, which reduces the supply of blood and nutrients to the tumour, thereby reducing its growth7. Other monoclonal antibodies bind at one end to specific molecules on the surface of the tumour, whilst on the other end they bind to immune system cells (see article, what is a monoclonal antibody?). This causes numerous immune cells, mainly macrophages and natural killer cells (NK), to accumulate around the tumour, causing the death of the cancerous cells3. This is how trastuzumab works, a humanised monoclonal antibody that binds to a molecule produced in large numbers by some breast tumours (human epidermal growth factor, or Her2). Among other mechanisms, it recruits immune system cells that eventually destroy the tumour cell8. A third mechanism of action consists of binding to tumour cell receptors, triggering the so-called complement cascade (a series of substances in the immune system), which results in the rupture of the cell membrane of tumour cells, causing their death3. Rituximab uses this mechanism of action3, as it binds to the CD20 receptor of the altered B-cells in non-Hodgkin lymphoma, facilitating their destruction by the complement3,9. Monoclonal antibodies can also be used to modulate immune response; in this case, they bind to immune system cells, stimulating them, instead of binding to the tumour6. This is how ipilimumab or nivolumab work3. Monoclonal antibodies represent a huge opportunity for cancer treatment thanks to their specificity. Their use will continue to expand in the future as science discovers new targets in cancer cells6. Many types of tumour are currently being treated with these latest generation biological drugs. Although they are very costly, there are already biosimilar medicines approved for some of them, including rituximab, bevacizumab and trastuzumab. Biosimilar medicines have the same quality, safety and efficacy as the reference biological medicine, but cost less, which means that more patients have access to these targeted therapies much earlier10. Terapias dirigidas contra el cáncer. National Cancer Institute. https://www.cancer.gov/about-cancer/treatment/types/targeted-therapies/targeted-therapies-fact-sheet. Published May 14, 2018. Accessed December 19, 2018. Cómo funcionan los medicamentos de quimioterapia. https://www.cancer.org/treatment/treatments-and-side-effects/treatment-types/chemotherapy/how-chemotherapy-drugs-work.html. Accessed December 19, 2018.